Yandex signed an agreement with the Russian truck maker KAMAZ to create a navigation system based on artificial intelligence. Yandex, one of Russia's largest Internet companies, is following Google's example and plans to enter the international car market. The Yandex services recently were built into the Toyota and Honda, and the company also plans to develop an artificial intelligence system for truck drivers. While Yandex doesn't plan to create its own autonomous car like Google, the Russian company is adapting its technologies to the needs of major car manufacturers. For example, the Yandex.Navigator service recently was built into the Toyota RAV4 Exclusive and Honda. 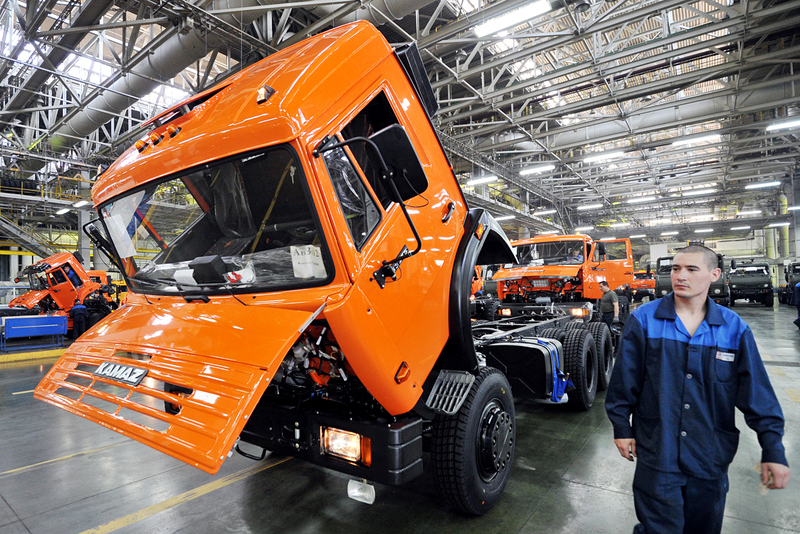 Also, at the end of August Yandex signed an agreement with the Russian truck maker KAMAZ to create a navigation system based on artificial intelligence. "We plan to continue collaboration with Toyota and Honda, and are willing to working with all major car producers," said Andrei Vasilevsky, director of Yandex's laboratory for built-in car solutions. He added that Yandex considers the car market a strategic one. "We will integrate our technologies into existing multimedia Android car systems, as well as adapt them to other operational systems and services, such as Apple Car Play and Android Auto," said Vasilevsky. "We also plan to offer a solution to improve the user experience with music, voice, computer vision and other services." Most existing GPS systems only guide trucks as if they were light cars, which becomes problematic on narrow streets and under low bridges. Therefore, truck drivers rarely use such systems. As part of collaboration with KAMAZ, Yandex plans to develop an artificial intelligence system to help truck drivers keep the vehicle in the lane, monitor whether the driver is tired, and initiate an emergency brake if necessary. Also, the company plans to introduce voice control of the car's multimedia system and integrate it with mobile devices. "We are thinking of creating high-precision maps and solutions for semi-automatic driving that would be based on Yandex artificial intelligence technologies --- computer vision, machine learning and speech technologies," explained Vasilevsky. More technology companies are entering the car market. For example, Volvo Cars and Uber recently announced a joint venture to create a driverless car. Vasilevsky believes that Yandex has a significant advantage in Russia. "Local knowledge is an important feature in Yandex's services and technologies; for example, Yandex.Navigator helps create itineraries in most cities, and the maps are updated not only by professional cartographers but also by the users themselves who are the first to learn of changes regarding traffic circles, street cameras, speed limits and so on," said Vasilevsky. By integrating the locality service in its models for the Russian market it is possible for international carmakers to have a product well-adapted for the needs of Russian users.